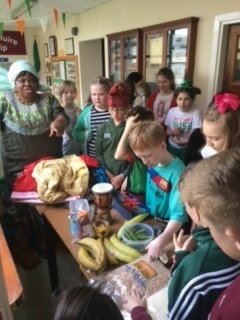 For Intercultural Day this year we learned about Australia. 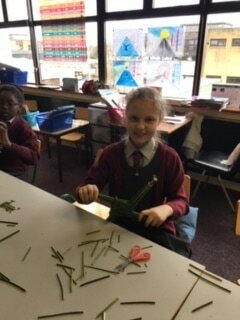 We sang a traditional aboriginal chant called 'Abeeyo' and we made our own boomerangs. 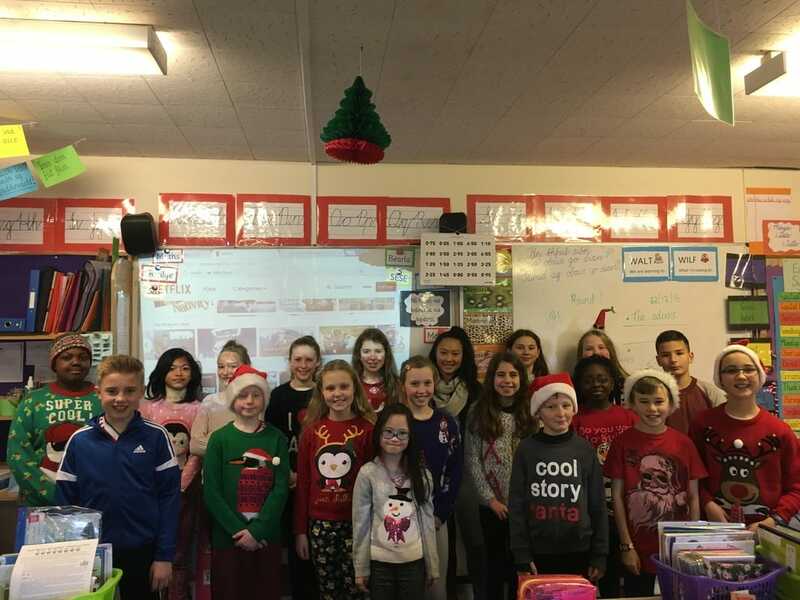 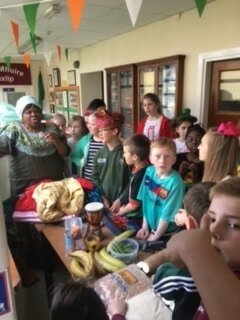 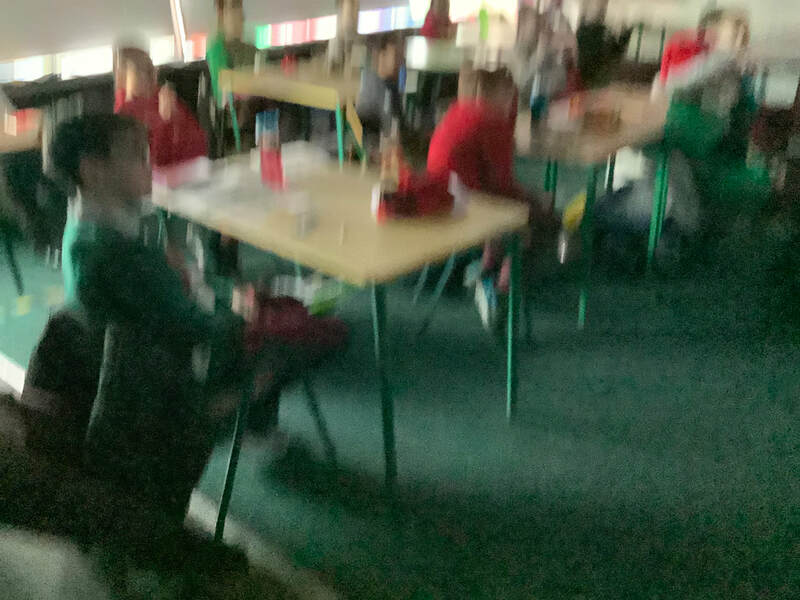 Jessica's Mum came in to our class and taught us all about Romania and Gideon's Mum brought in traditional clothing for us to seeand food for us to taste. 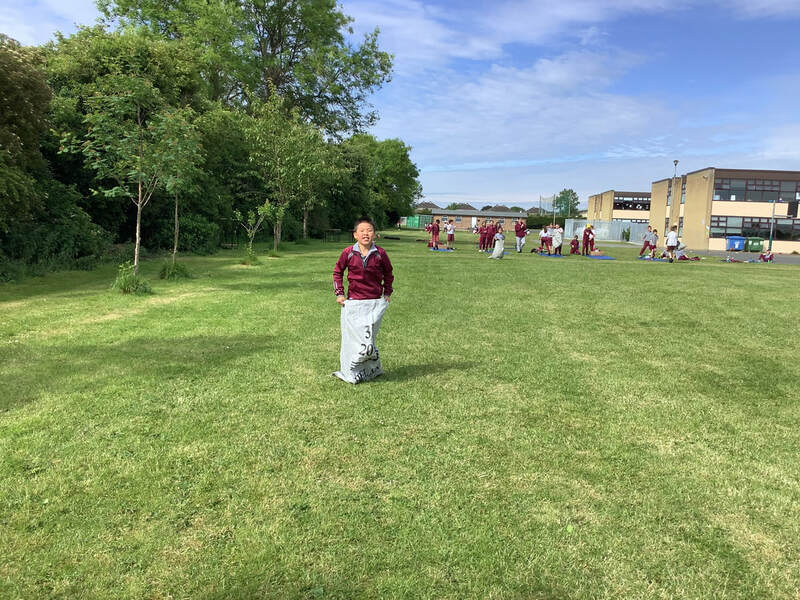 We really enjoyed the day. 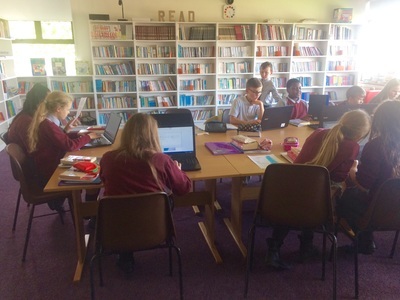 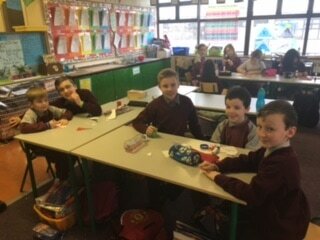 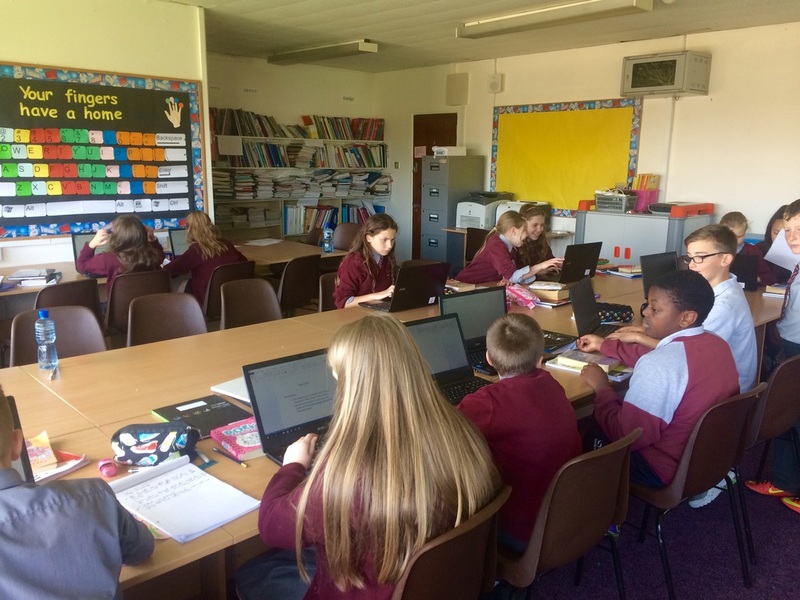 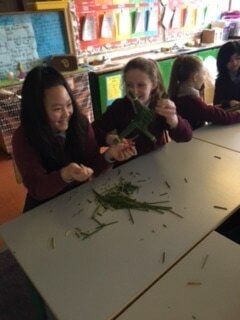 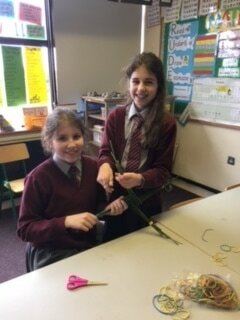 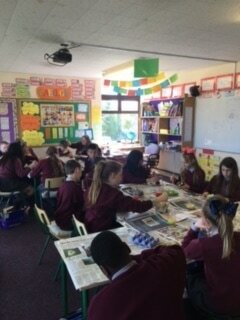 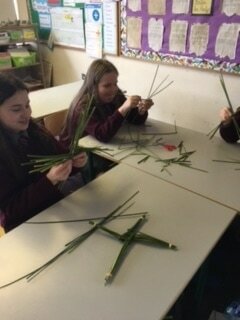 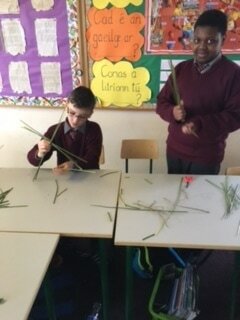 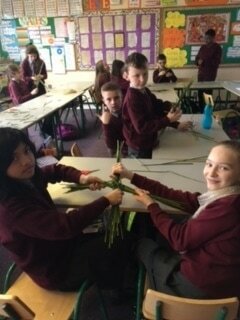 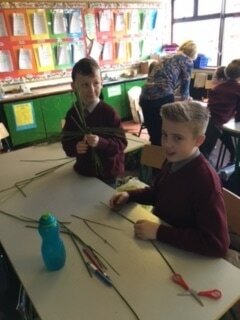 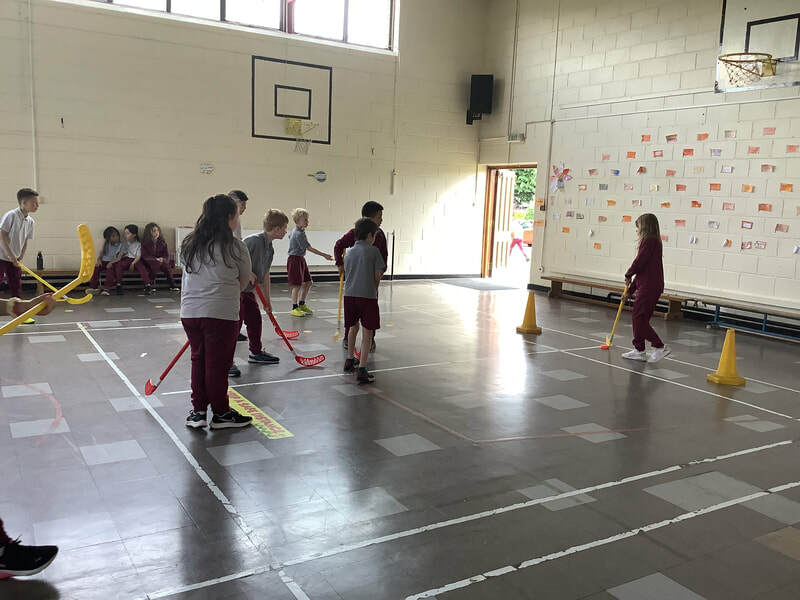 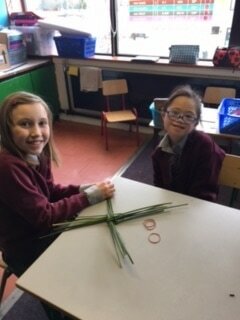 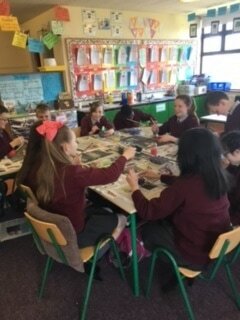 We're very busy working on our science projects in 5th class in preparation for the Intel Mini Scientist competition. 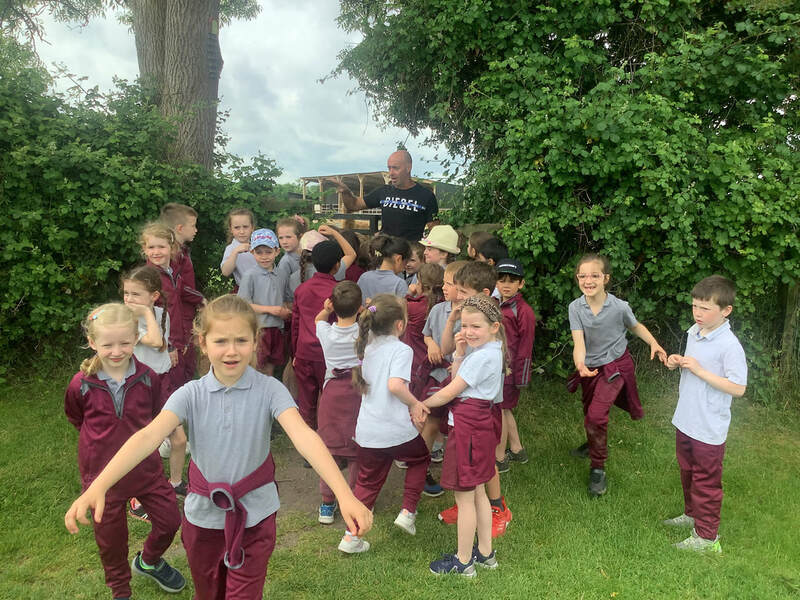 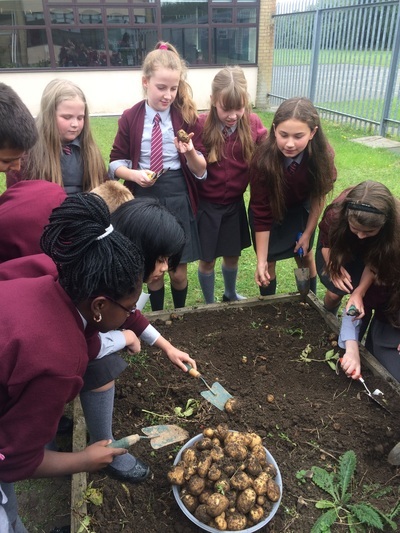 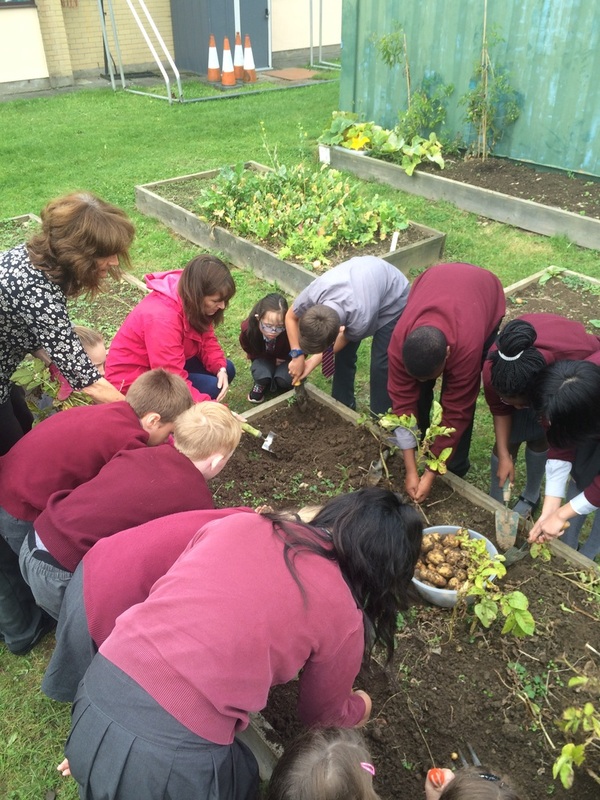 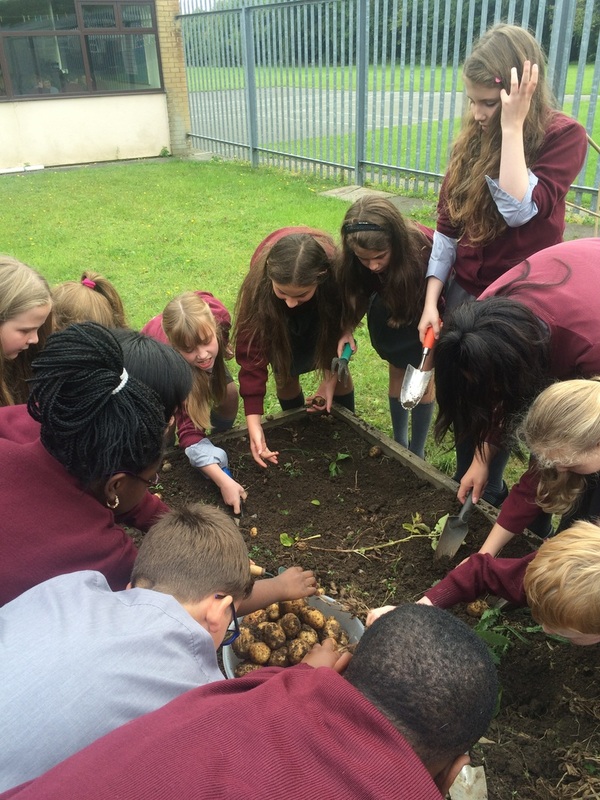 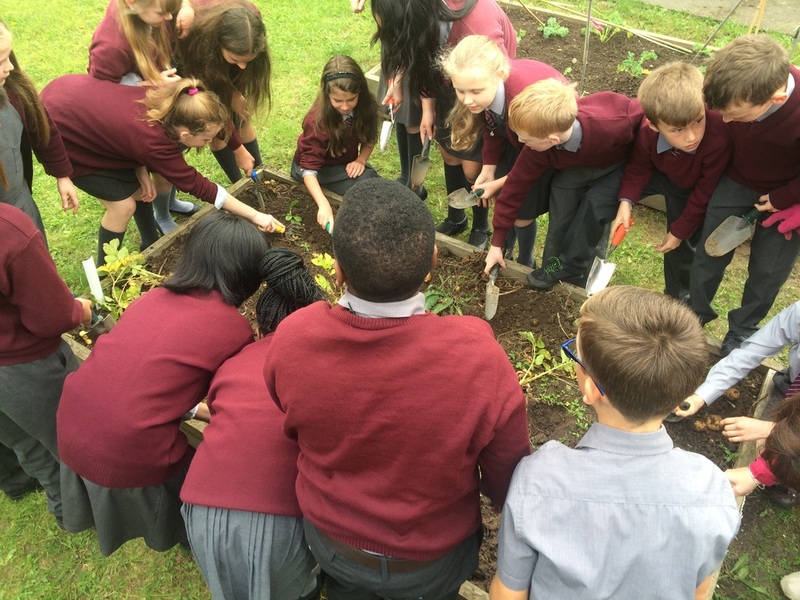 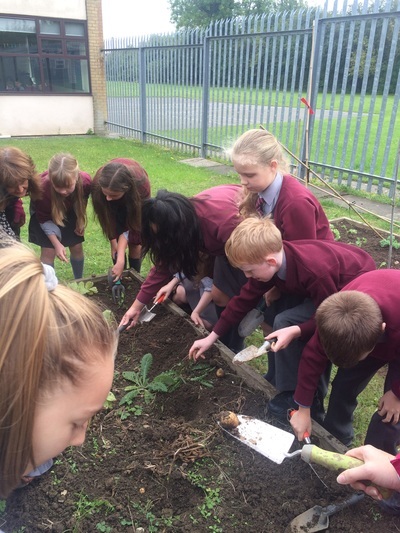 In September we went out to the garden with Mrs. Daly and dug up the potatoes that we planted in Ms. McCormack's class last year. 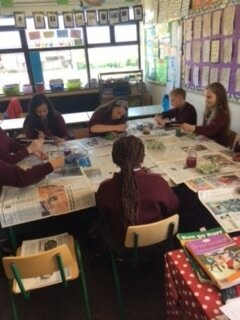 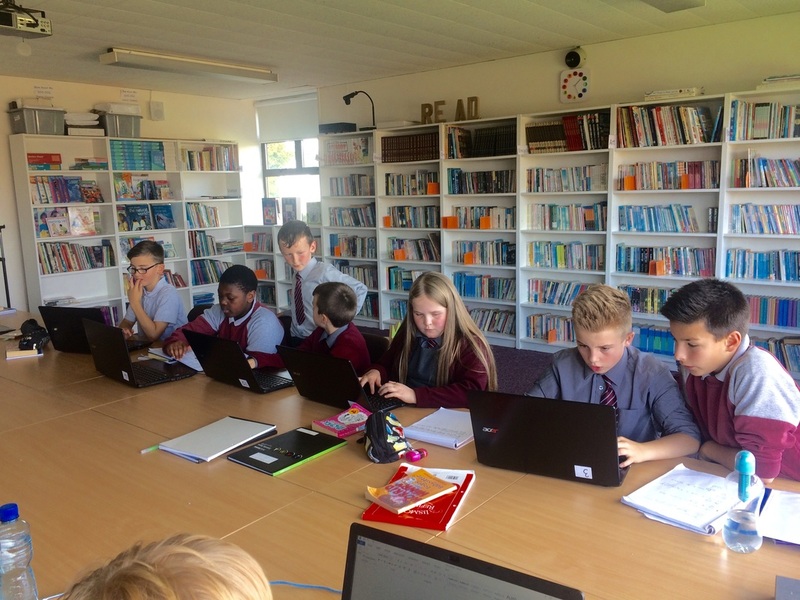 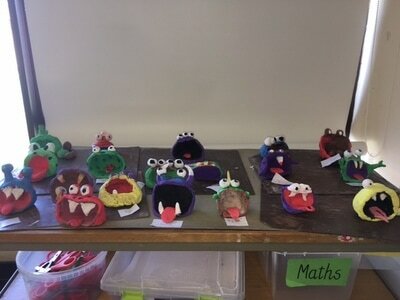 Since September the two fifth classes have been working very hard preparing for the Intel Mini Scientist. 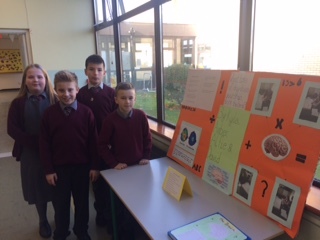 Each group had to choose an experiment, carry it out, make a project book containing lots of information on their experiment and create a display board to show off all that they had learned. 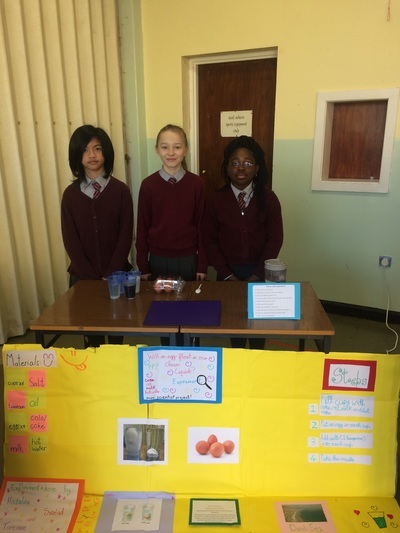 On Friday 11th November every group presented their science projects in the Scoil Mhuire hall for three judges from Intel. 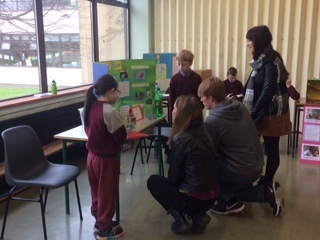 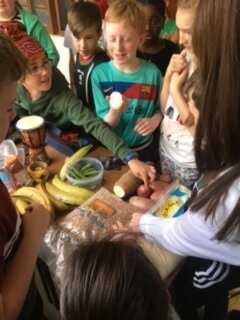 The judges watched the groups carrying out their experiment and asked them some tricky questions. 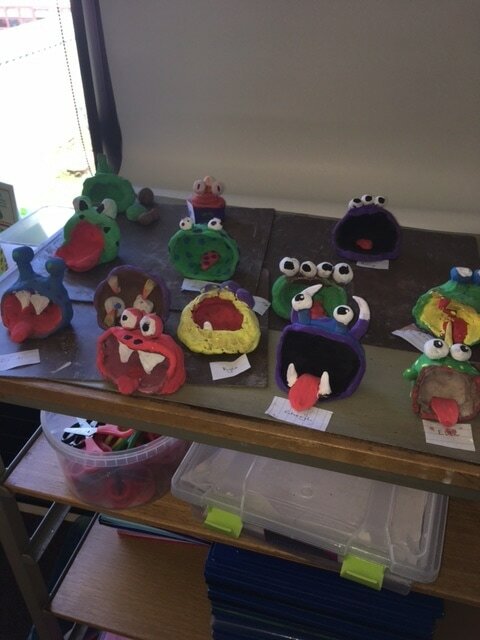 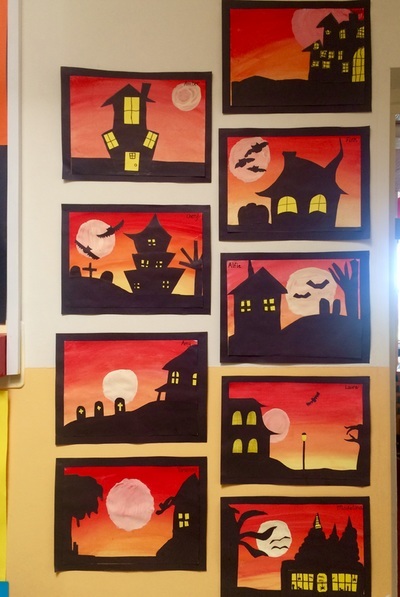 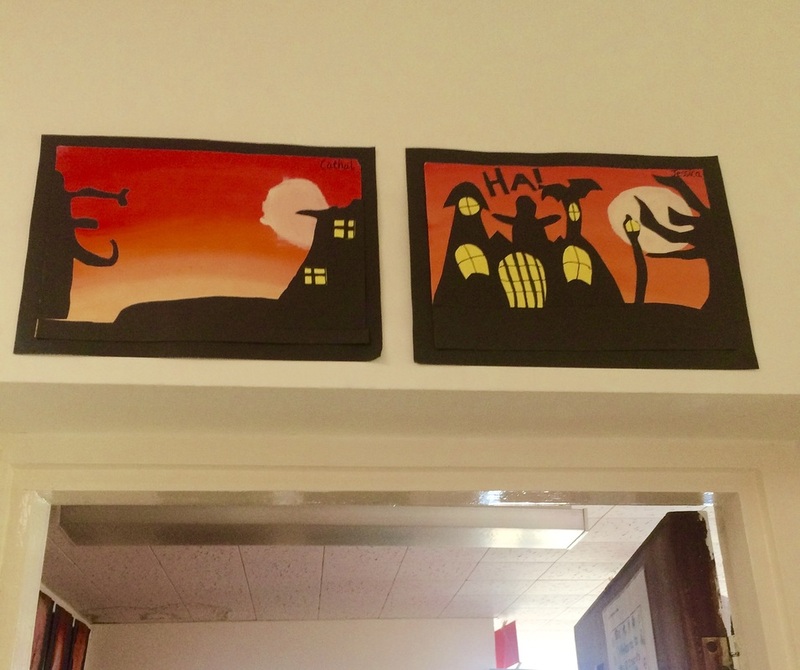 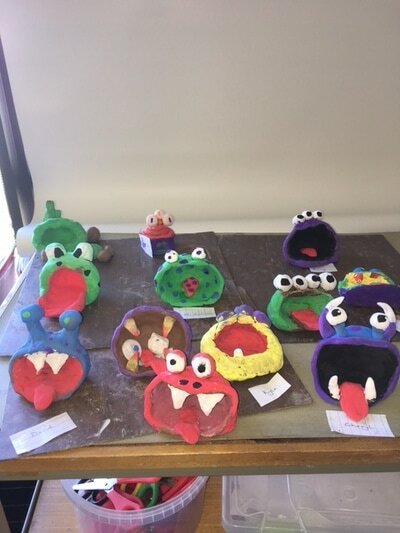 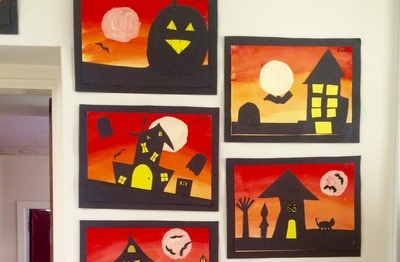 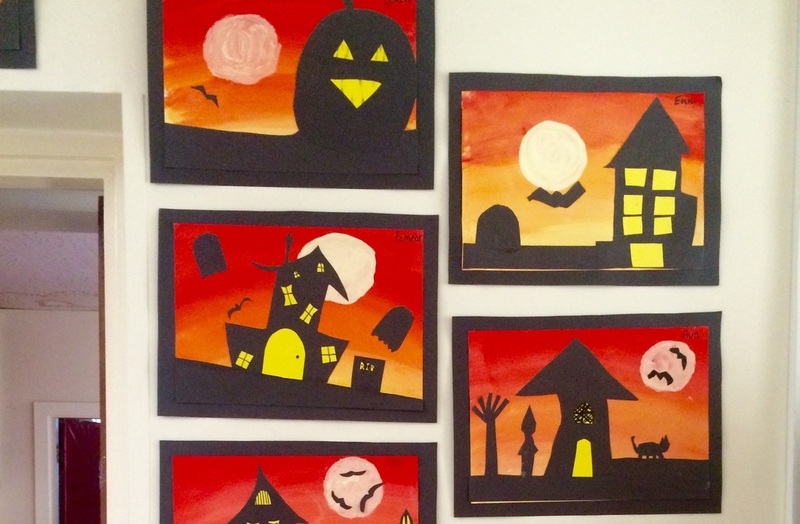 Every group did an excellent job and the judges had a very hard time picking the winners. 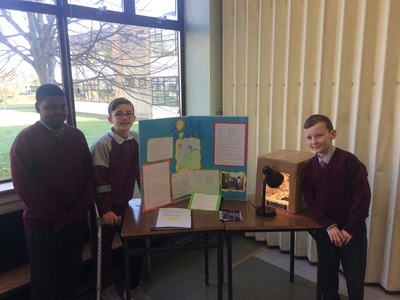 In first place was Alexander, Cian, Jason, Abel and Mario from Ms. McCormack's class with their project 'Air Pressure'. 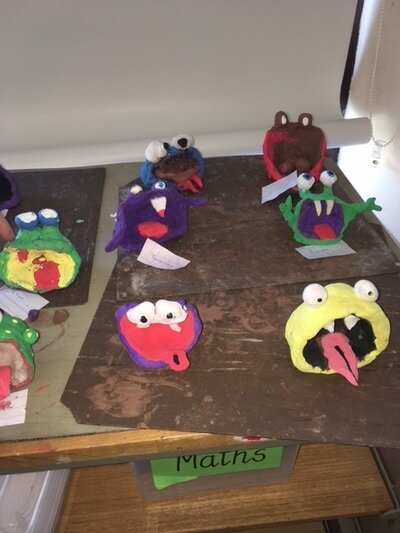 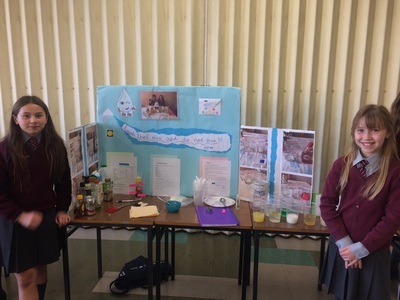 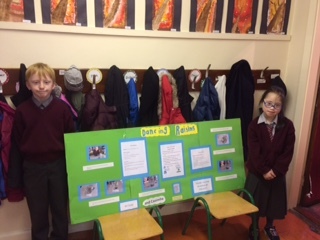 Second place was awarded to Ava and Eimear in Ms. O' Driscoll's class with their project 'Friction'. 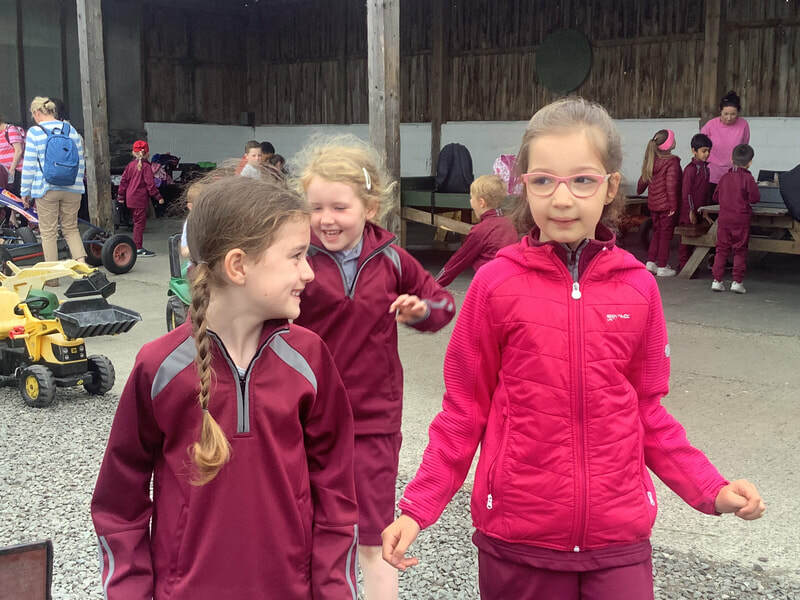 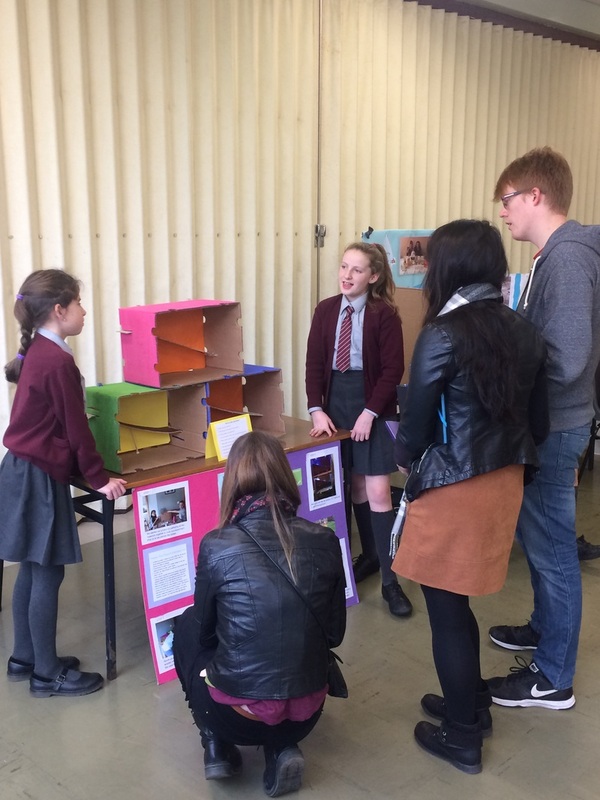 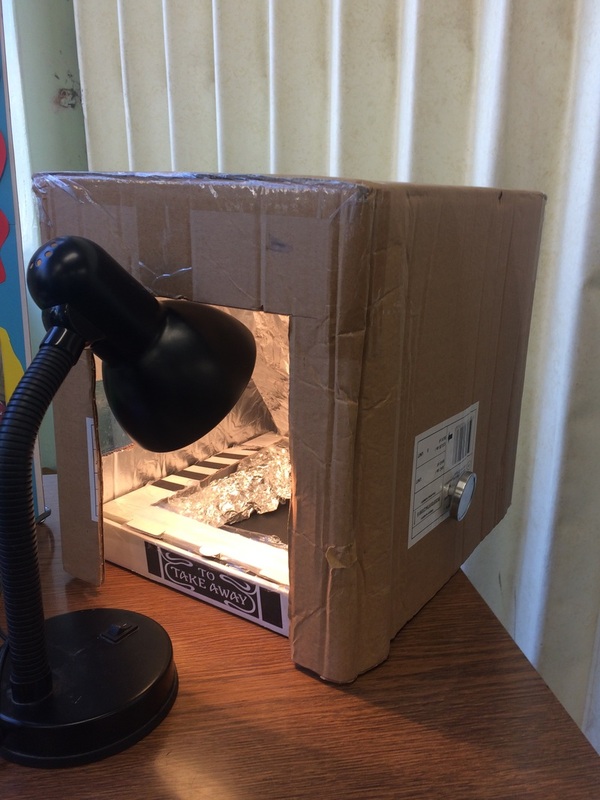 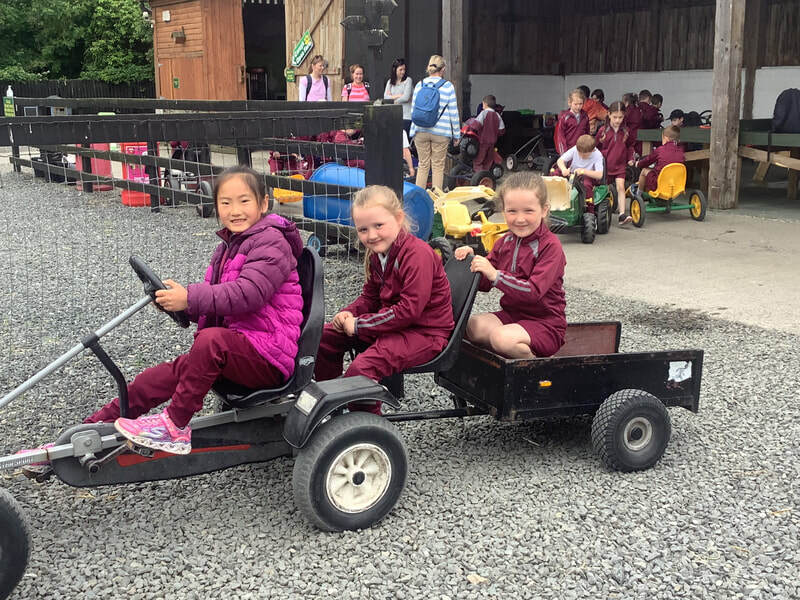 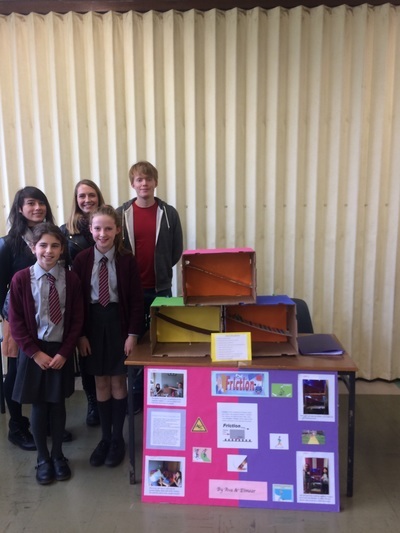 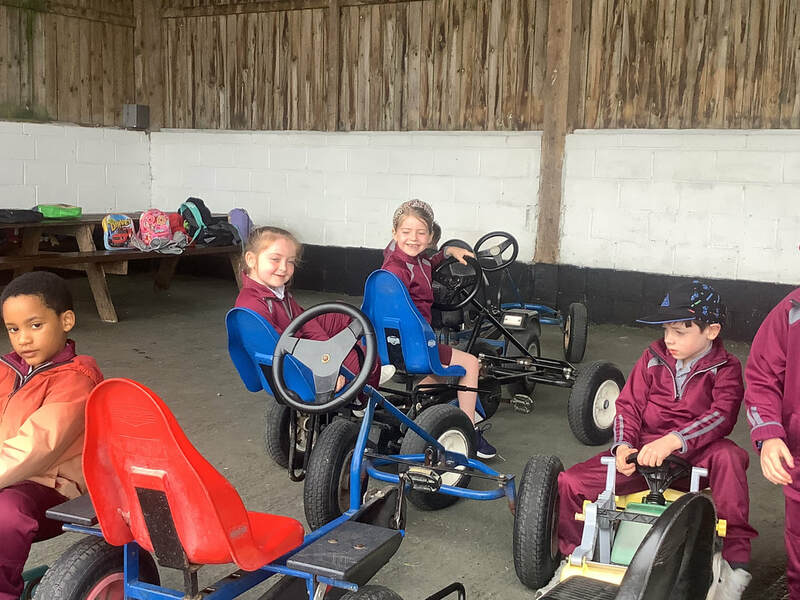 In third place was the project 'Solar Power' by Gideon, Cathal and Finn from Ms. O' Driscoll's class and 'Electricity and Electric Circuits' by Clara, Sophie, Áine and Dara in Ms. McCormack's class. 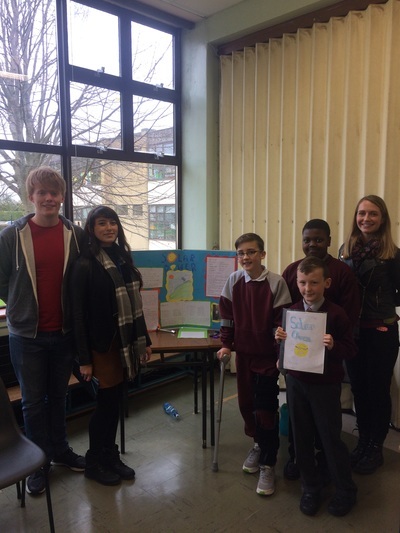 Well done to the winners and to all the groups for taking part! 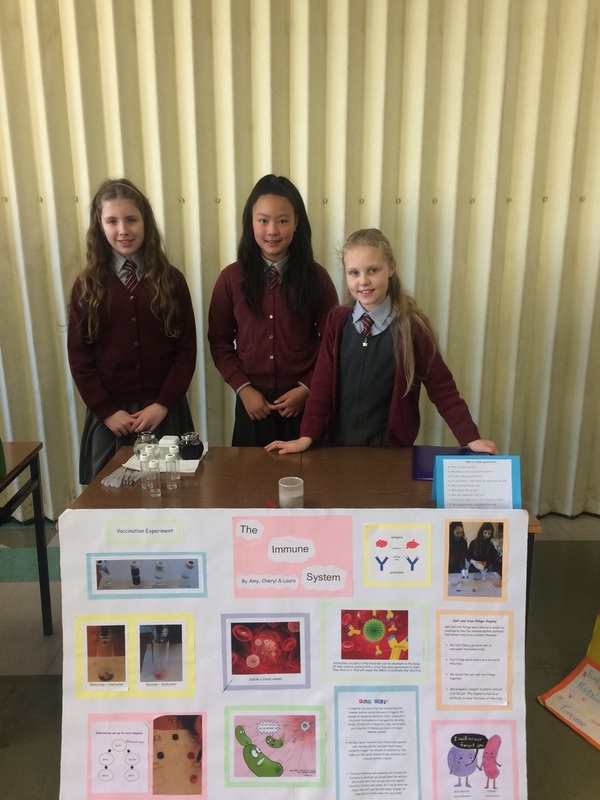 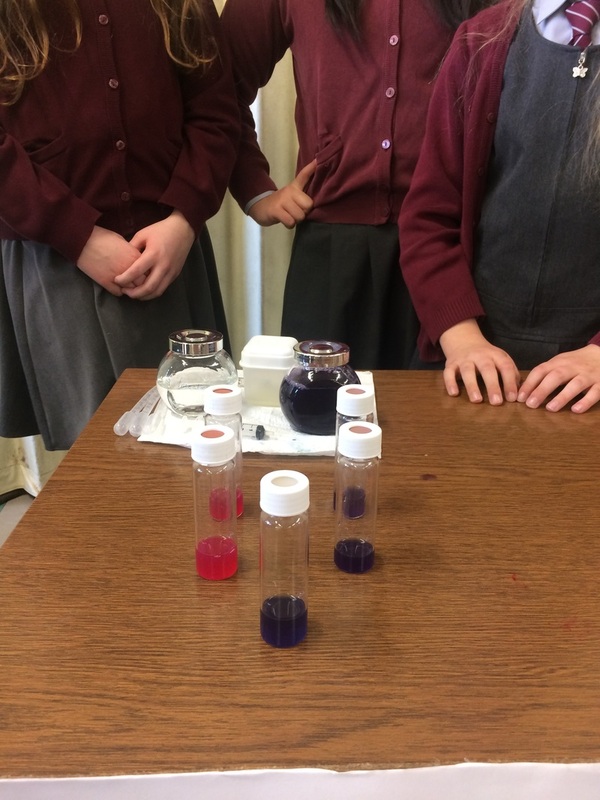 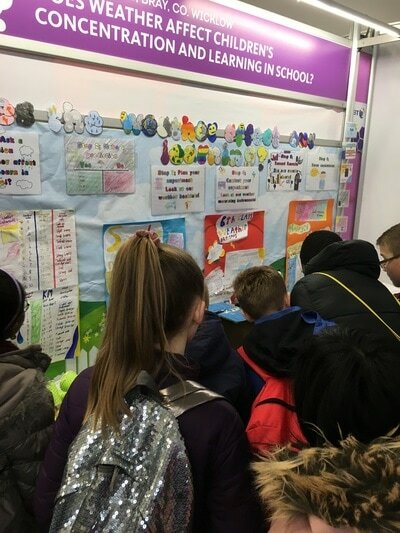 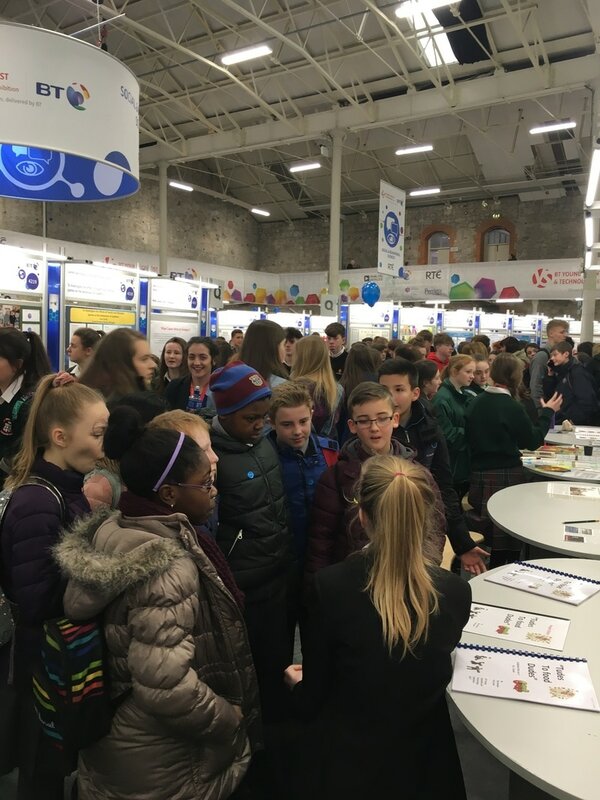 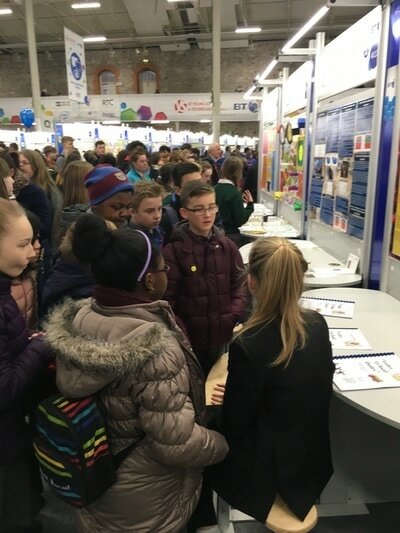 In January the two fifth classes took a trip to the BT Young Scientist Competition in the RDS in Dublin. We got the chance to see lots of different experiments, some similar to ours from the Intel Mini Scientist competition. 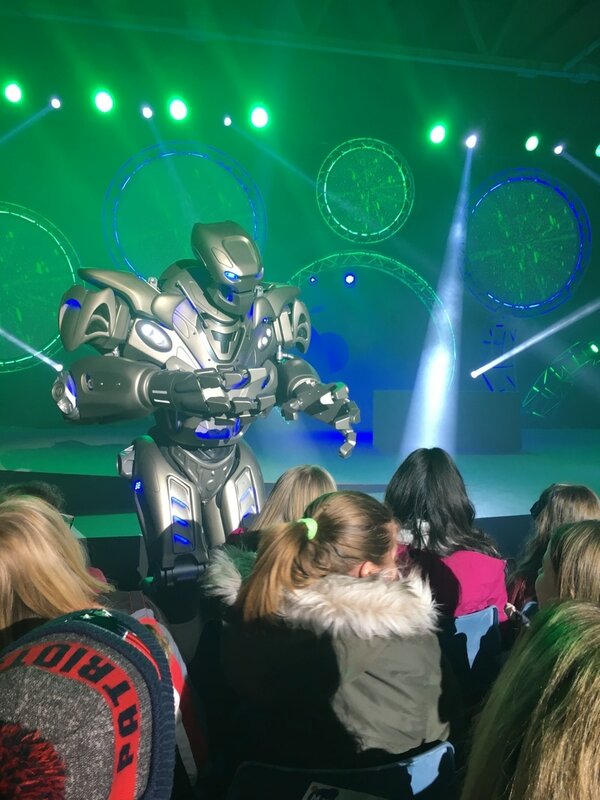 We also got to see Titan the Robot! 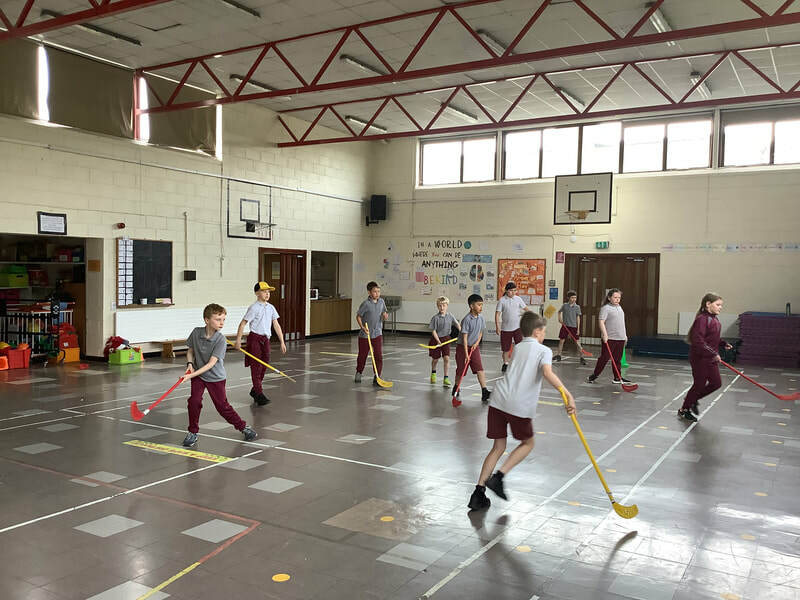 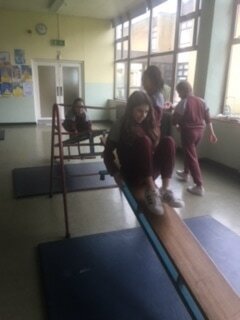 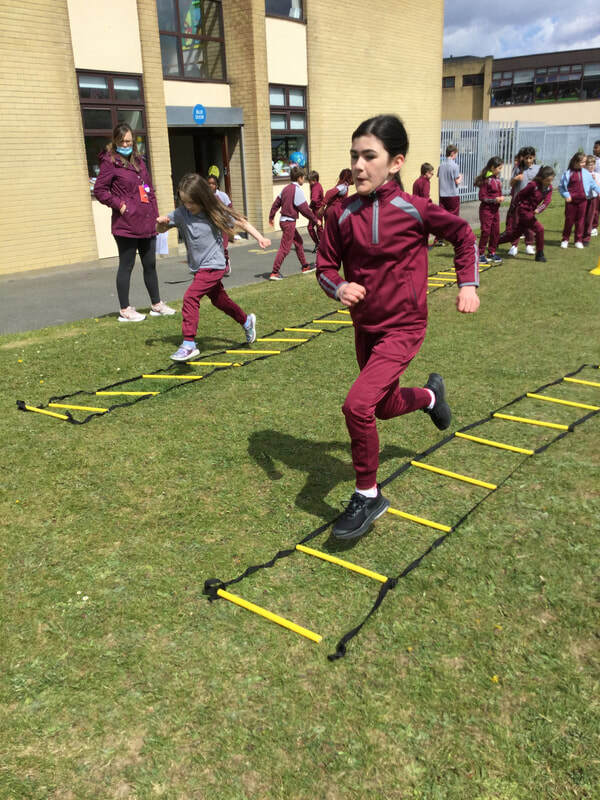 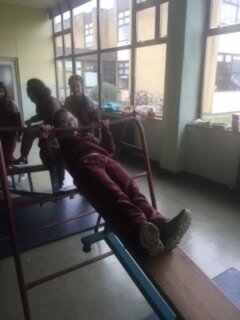 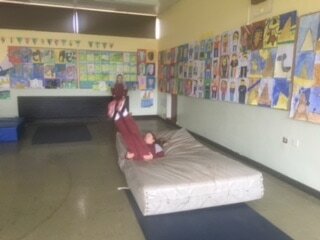 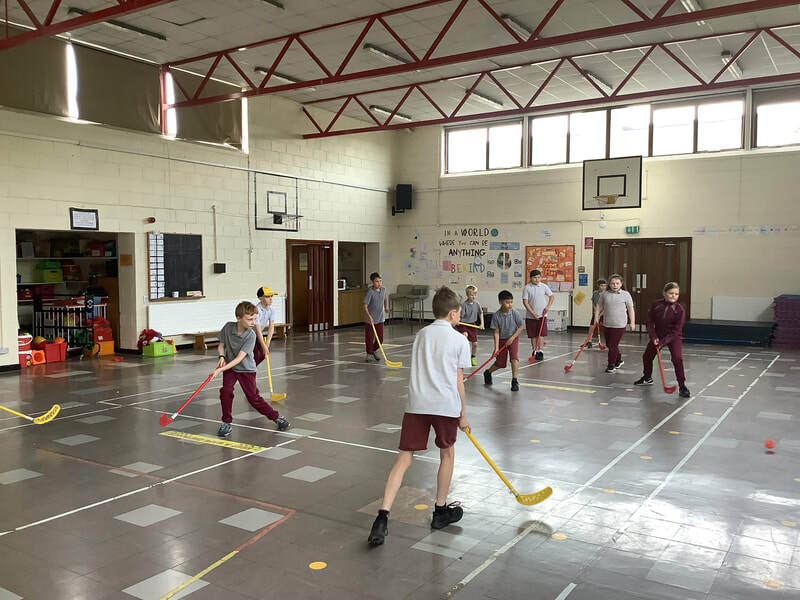 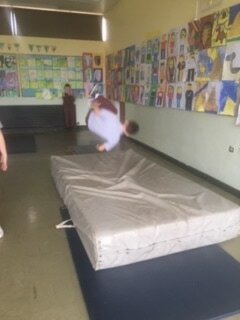 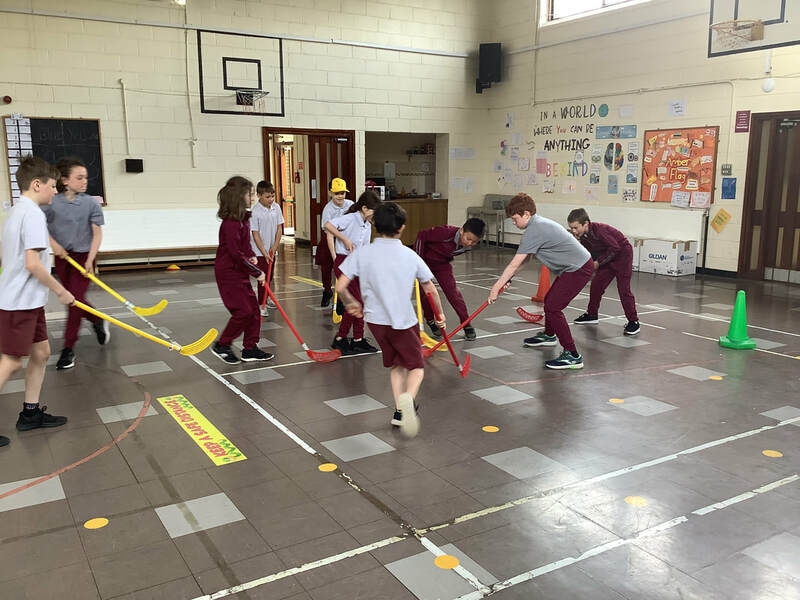 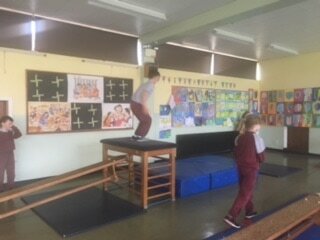 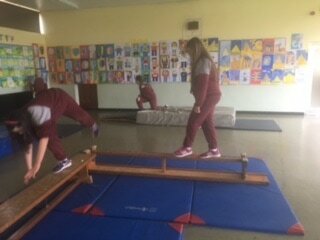 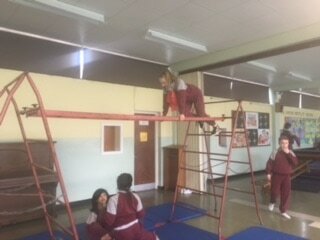 We really enjoyed using the gymnastics equipment during PE in January! 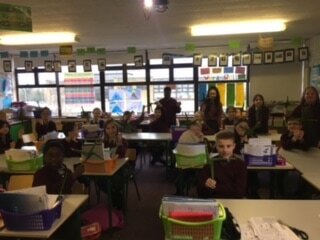 1st class joined us for paired reading for Friendship Week! 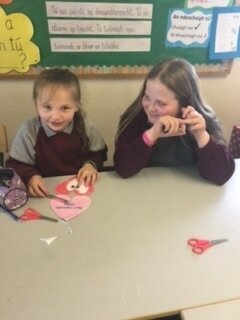 Lá Glas - Seachtain na Gaeilge!